Harmonix's former parent company says that it paid out over a hundred million dollars to shareholders more than it should have. 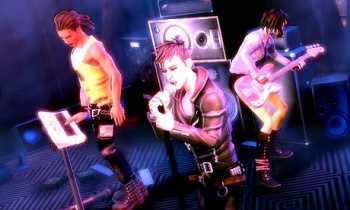 It's been brewing for a while, but Viacom has sued the shareholders of Harmonix, the music game studio it formerly owned, in an effort to get back a very large chunk - nearly 90% - of the $150 million in bonuses it paid out in 2007. According to the suit, the $150 million was based on a "preliminary calculation" for performance-based bonuses on the Rock Band series. These calculations apparently turned out to be very, very wrong, and the actual amount owed in bonuses was around $18 million. Viacom wants to have the difference, around $131 million, refunded to it. This won't come as a complete surprise to the Harmonix shareholders; Viacom first put forward the idea it might have overpaid over 18 months ago in a SEC filing. Interestingly, Harmonix shareholders sued Viacom late last year for the opposite reason. The Harmonix suit alleged that the shareholders hadn't been paid enough, and Viacom was withholding performance bonuses for 2008. The shareholder's suit also said that Viacom manipulated payments and profits to minimize the amount bonuses it would have to pay out. The shareholders' suit is currently in the hands of a resolution accountant. It's not for me to say who's right and who's wrong here; both sides clearly think they have a case, or they wouldn't have sued in the first place. Considering the opposing goals of the two cases, it's hard to see the two sides coming to a deal.